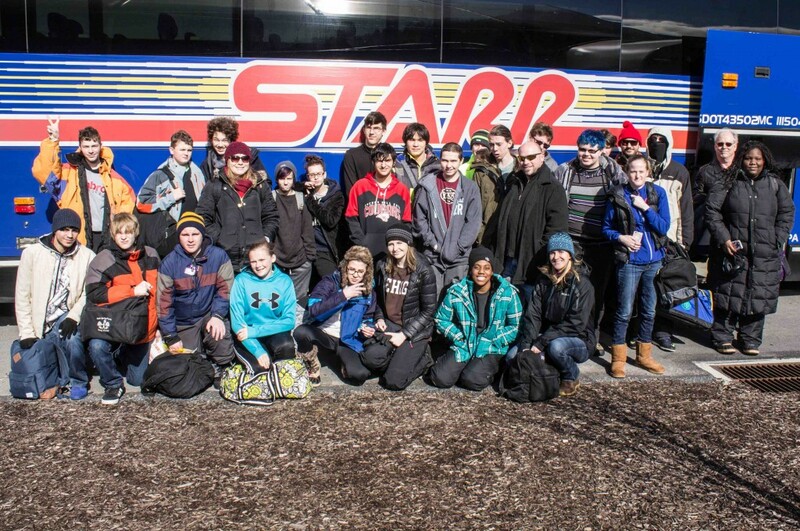 On Friday, February 26, 2016, New Hope Academy braved the frigid temperatures and whipping winds and took to the slopes for its annual ski trip at Blue Mountain, located in Palmerton, PA. Students from the Yardley campus met at 7:30 to board the luxurious Starr bus, where they could rest and relax before a day of physical endurance. 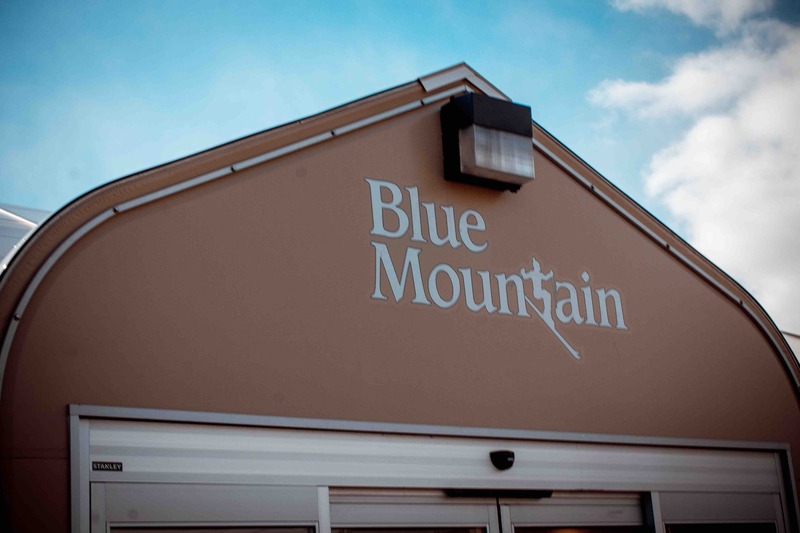 After driving to the Doylestown campus, where Doylestown students and staff had gathered to be picked up, the bus traveled through the Pocono Mountains, arriving to the ski reso rt at 10:30. 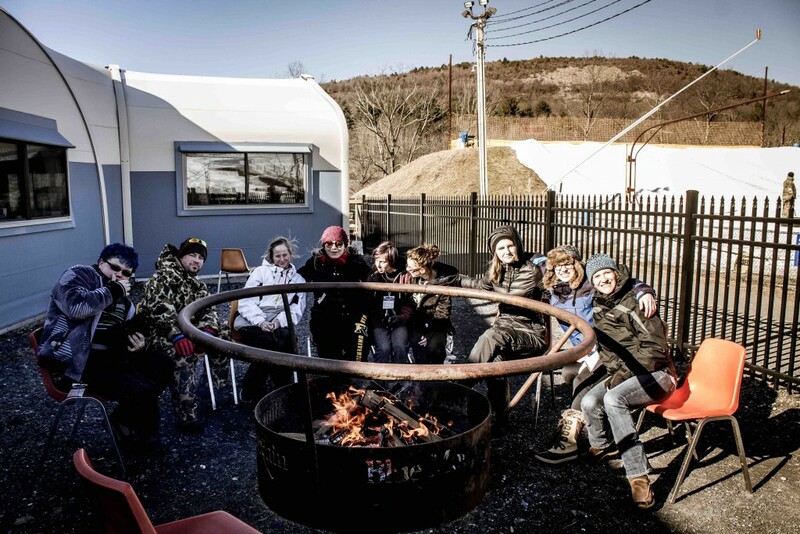 From there, groups of students and staff split up: some went skiing, some tried snowboarding, and others made their way to the snow tubing area. NHA Yardley director Dave Kennedy stayed back in the lodge, where he kept a watchful eye on students’ belongings and served as greeter for those who had had enough of the winter weather. 1:00 was lunchtime, which meant everyone on the trip had to gather back in the lodge to refuel and recharge. When lunch was finished, it was back to the mountains to enjoy a few more hours of winter sports. By 4:30, everyone was back on the warm bus, exhausted from the many hours of activity, but also energized by a day filled with friends, freezing temperatures, and hours of fun.